Home » Barbs and Backlashes » Mussels, NOT “Muscles”, Mussels! Freshwater mussels in Nebraska have declined over timein Nebraska’s streams and rivers. Historically 30 specieshave been found in Nebraska waters. Of these 30 species, only 13 species have been identified as somewhat stable. To address this concerning trend, the Nebraska Game and Parks Commission began putting in place a plan to propagate threatened mussels and stock them into streams in Nebraska to establish populations. Initial efforts were began in 2014 using existing staff and equipment at North Platte Fish Hatchery. Funding from the Nebraska Environmental Trust (NET) was used to purchase essential additional equipment and commercial feed to raise the mussels. As the project has expanded, additional space was required for the continued growth of the program. 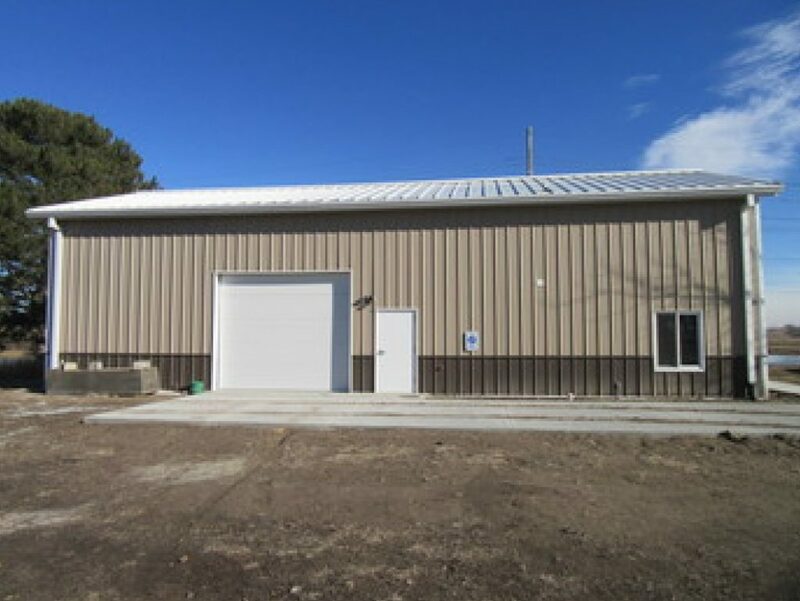 A dedicated mussel culture facility was constructed during 2018, with funding coming from a SWIG grant and Nebraska Environmental Trust grant. Some specific items provided by NET include: funding for design and construction, drilling and installation of a well to operate the building, installation of water lines from the ponds to the building, tags for marking and monitoring and commercial algal diets which are required to go the mussels at various life stages. To date, 13,682 Plain Pocketbook mussels and 4,182 Fatmucket mussels have been stocked back into the streams of Nebraska. An additional 10,000 mussels in the facility will be released in the spring/summer of 2019. This is an ongoing program and additional species will be cultured in the future for stocking. As indicator species, mussels require good water quality, and as a part of Nebraska’s native fauna it is exciting that the streams of Nebraska will potentially again be homes to mussel populations. Let me fill in a few blanks. . . . The building you see above will be a big asset in this project. One thing in the video that might be a little confusing, so let me explain that the larvae of our native mussels are parasitic on the gills of fish. In fact, certain mussel species may be very specific as to the species of fish used to host their larvae. Now, before you conclude that the parasitic mussels are harmful to the fish, let me say that they are not. 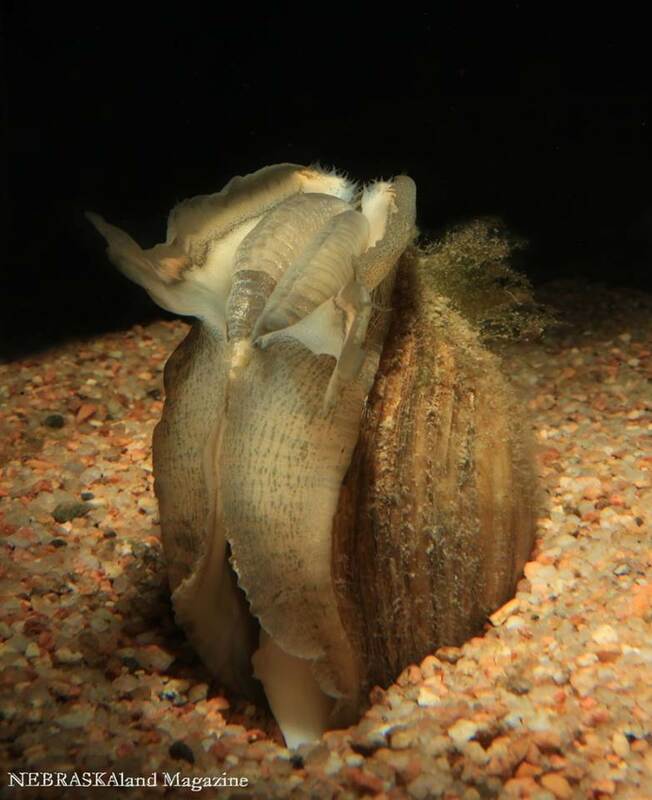 The larval mussels take a ride on the gills of the fish, are transported to new areas (remember “clams” do NOT have legs and they do NOT swim), and then they drop off and grow into adult mussels. The host fish are none the worse for wear. Let me also note that the invasive zebra mussels are NOT parasitic on fish and do NOT get transported to new waters in the same way. THE vector by which zebra mussels have spread across the country has been by hitching rides on watercraft or in the water inside watercraft–different species, different biology. No, I doubt that I ever venture forth to attempt to catch Fatmuckets or Plain Pocketbooks, but that does not mean that these unique aquatic critters are unimportant parts of our Nebraska fauna. These mussels are native and we have stewardship responsibility for them as well as the sport fish that anglers like to catch. In addition, the native mussels are indicators of healthy aquatic resources–resources that will support a lot of fish too! Female Plain Pocketbook mussel displaying. Photo by Julie Geiser, NEBRASKAland magazine.